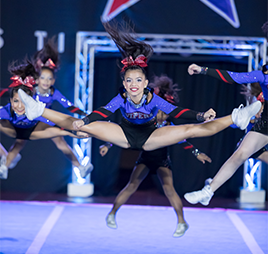 This jump class is designed to focus on proper technique needed to execute the variety of jumps needed to perform on a school or all-star cheer squad. The staff at Stars Cheer and Tumbling Academy understand how important these skills are for athletes to master and for teams to excel. If your athlete desires great jumps come to class! !